A helmet is a protective gear that every motorcycle rider must own. It lessens the likelihood of getting any serious head injury in the case of an accident. Over the years, a lot of modifications have been made on this useful gear—one of which is the addition of a Bluetooth communication system. Yet, you might be wondering: how do Bluetooth motorcycle helmets work? In order to explain how something works, we must first find out what it is. A Bluetooth is a revolutionary invention that eliminates the need for wires to connect two devices together. It is most commonly used to pair devices for easier transmission of files. Such is also the case when a headset is connected to a source of music like a cell phone or MP3 player. Today, Bluetooth motorcycle helmets allow for rider-to-rider communication, GPS system connection, and music streaming. The advancement in the Bluetooth communication technology made it possible for all of these services to co-exist nicely all at the same time. How Do Bluetooth Motorcycle Helmets Work? As was mentioned earlier, a Bluetooth technology allows for data transfer without the need for wires. Gone are the times when we worry about all these wires ending up tangled or getting in our way. So, how do Bluetooth motorcycle helmets work? The answer is simple: Bluetooth technology uses piconets as a replacement for wires. These short-range networks are what enable two devices to connect with one another minus the presence of wires. Once a network has been established, the source becomes the master of all the other devices that are connected to it. Through the source, you can command all the other devices to do what you tell them to do. Moreover, the fact that it uses short-range networks makes it possible to be discovered only by devices that are within the closest proximity to the source. This is also the reason why there should not be any worry with regards to your connection being intercepted by unknown devices. Also, you can add a password to your network so that only known devices are paired. Another added feature that the Bluetooth communication system offers is that it uses minimal power. Most Bluetooth motorcycle helmets require only a small battery to function. One battery can actually last for days, which is perfect for long motorcycle rides across the country. Now that we have the basic idea how a Bluetooth motorcycle helmet works, another question arises: how can it level up your motorcycle riding experience? Read on and find out. The invention of Bluetooth motorcycle helmets is widely embraced by riders throughout the world. It has provided them with a number of benefits that made their motorcycle riding experience safer, easier, and more enjoyable. Some of the most loved benefits of using a Bluetooth motorcycle helmet are listed below. The use of a Bluetooth motorcycle helmet allows a rider to have hands-free phone conversations while driving. Unlike cars that are enclosed, it was a big challenge for experts to create an effective communication system for motorcycle riders because of the wind noise. With Bluetooth motorcycle helmets, you get to have a headset and microphone built-in to your helmet for a crystal clear communication. Additionally, some Bluetooth motorcycle helmets also make it possible to connect with riders within your area of proximity, much like in an intercom system. Nevertheless, thanks to Bluetooth technology, this is now possible. Most Bluetooth motorcycle helmets function through the use of voice commands. Almost everyone we know enjoys listening to music while on a trip—be it on a plane, car, or even when walking. Not long ago, the use of wired earphones physically connected to a music player is the only way to achieve this. 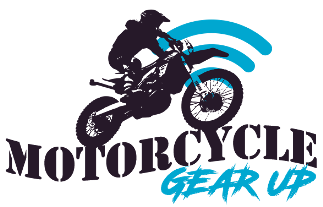 Through Bluetooth motorcycle helmets, you can pair your MP3 player or cell phone with your helmet and enjoy your favorite songs without the hassle of tangled wires. Connecting your Bluetooth motorcycle helmet to your phone’s GPS navigating system makes it possible to thread unfamiliar roads with ease. All you have to do is pair it with your navigation device, and follow the voice commands telling you where you need to go. Before it was invented, motorcycle riders use a third party device in order to enjoy the benefits of using a Bluetooth motorcycle helmet. Now that it is all built-in on the helmet itself, the comfort and safety it gives the rider are undeniable.